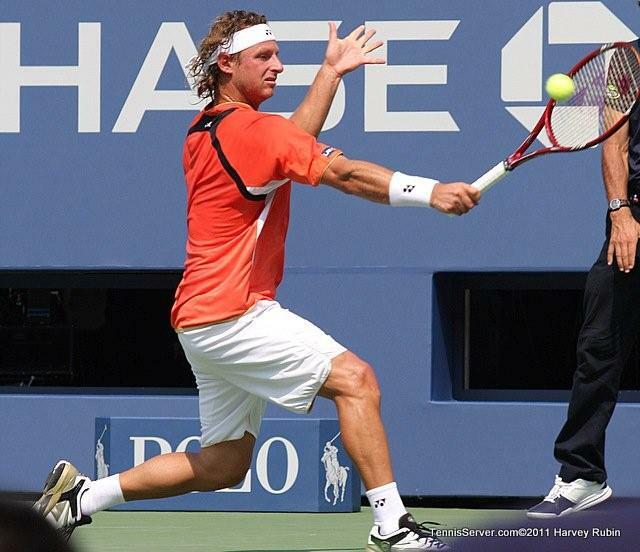 September 4, 2011 -- As of Saturday fourteen players had retired from matches at this year's U. S. Open ... a record. And although a distraction for the tournament, some have benefited. Angelique Kerber is one of the lucky ones. She's into her first-ever U. S. Open quarterfinal, which is her first-ever quarterfinal at any major. She defeated Romanian Monica Niculescu 64 63 early today. Both women made their way through a section of the draw upset the first day as Wimbledon Ladies Champion Petra Kvitova lost to Alexandra Dulgheru, another Romanian. The upset open the flood gates. Kerber then defeated the #12 seed Agnieszka Radwanska in round two, shocking herself and Radwanska who'd been tapped to go deep. Kerber got lucky, again. Yanina Wickmayer, seeded #20, retired in the second round with back problems. Kerber easily defeated her next opponent, and probably thanked Wickmayer for her choice to pull out. The German may have liked Niculescu to pull out today, too, given the odd tactics she employed. But that's how the Romanian defeated Lucie Safarova (#27) 60 61 the previous round. Niculescu admitted she can't keep up with the power game and relies, instead, on touch, changes of pace, and slice forehands. She plays with two hands off both her left and right sides, too, which can confuse opponents. Someone appropriately labeled her the Fabrice Santoro of women's tennis -- a magician. Her magic didn't work against Kerber, however. A strong lefty, who has never enjoyed the passions of the second week in New York, stood her ground against the wiggles and waggles coming off Niculescu's racquet. The lefty German hit through her shots, effectively usurping her opponent's biggest weapon. Kerber has a tough match ahead against Flavia Pennetta (#26 seed). A veteran of seven U. S. Opens, the feisty Italian fought through what appeared to be fatigue and illness in the second set of her match today. Two points from the quarterfinals, she walked to the wall in the backcourt, bent over and heaved. She attempted to return to the baseline, but once again returned to the wall. Right then, the chair umpire leveled a warning on Pennetta for a time violation. She'd exceeded the 25 seconds allowed between points, which is 5 seconds more than players are allowed in all other sanctioned tournaments. Pennetta smiled wryly and fans booed. She went back to work, but didn't have enough gas to close out the match. She was broken for the fourth time in the set. Down 2-6 in the tiebreak, all hope looked lost for Pennetta. Shuai Peng appeared fresh as daisies across the net. She went about a tactic any other sane opponent would employ -- she ran Pennetta left and right. And she was successful. However, Pennetta wasn't done. She flipped the score, knowing deep in her heart she couldn't go to a third set. After two-and-a-half hours, she won 65 76(6). 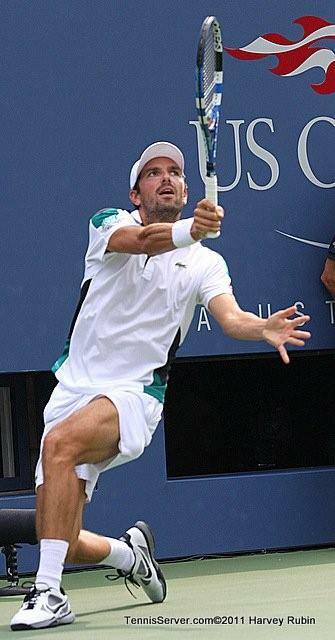 The match coupled with the abundance of player retirements reminded many of the match between Pete Sampras and Alex Corretja in the quarterfinals of the 1996 U. S. Open. 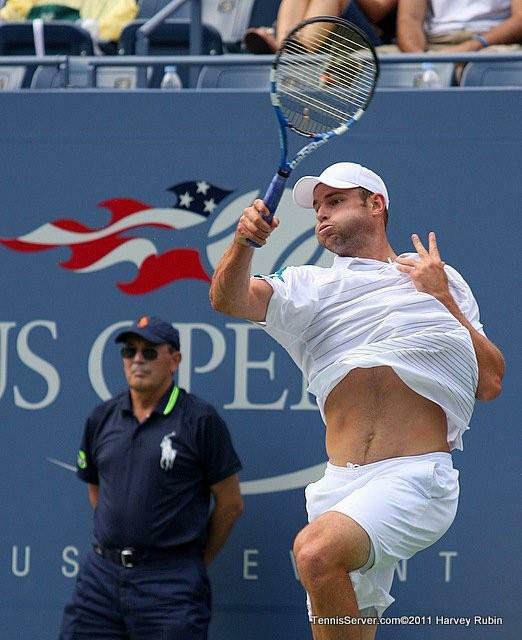 On the brink of heat exhaustion, a potentially hazardous precursor to heat stroke, Sampras threw up in the backcourt only to return to the baseline, hit bullet serves and won points. 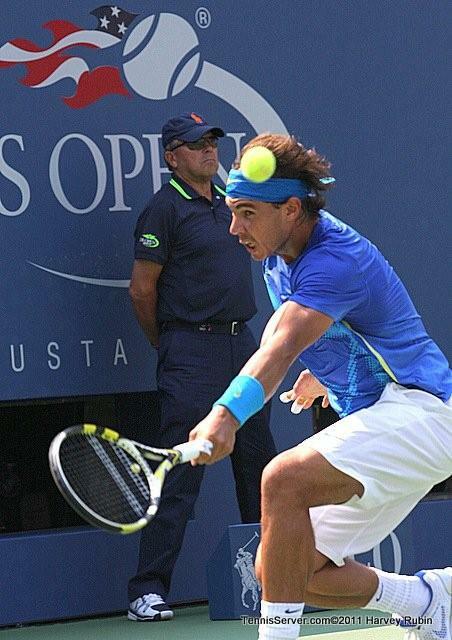 Corretja showed no signs of fatigue. Neither man would give in. Fight ... they fought. 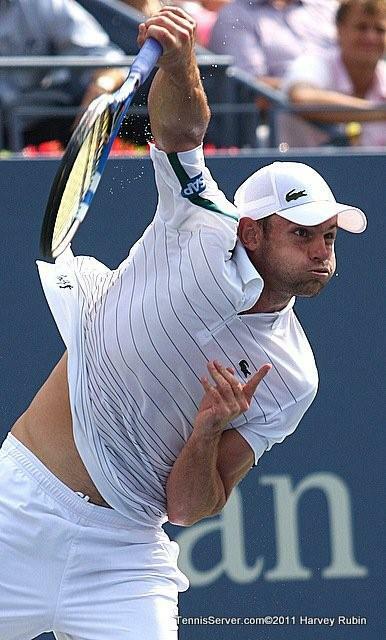 Rocking back and forth, as he waited for the Spaniard's serve, Sampras was at a tipping point. Then Corretja double faulted and lost the match. 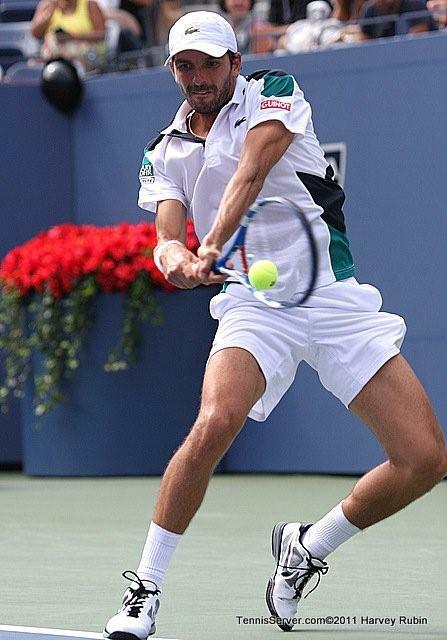 Sampras was whisked away for treatment. Roger Federer suggested that injury, bad luck, and perhaps lack of will have contributed to the rise in retirements, as reported by USA Today. 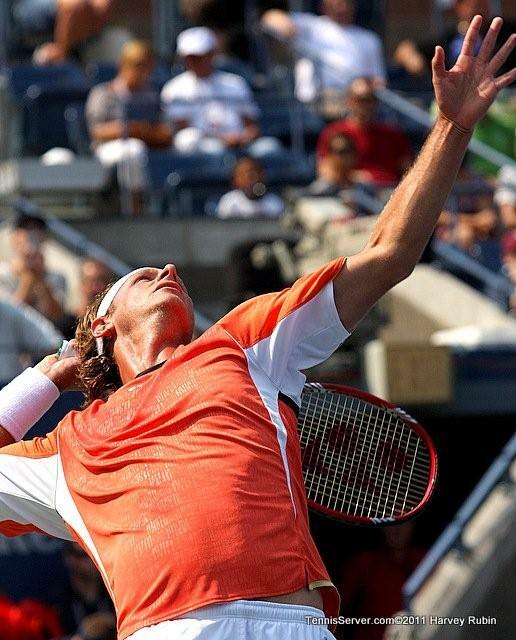 "For me it is shocking to see so many retirements," Federer said. "It doesn't matter how bad I'm feeling, I will be out there and giving it a try because you never know what's going to happen." Federer has played 973 matches in his career. 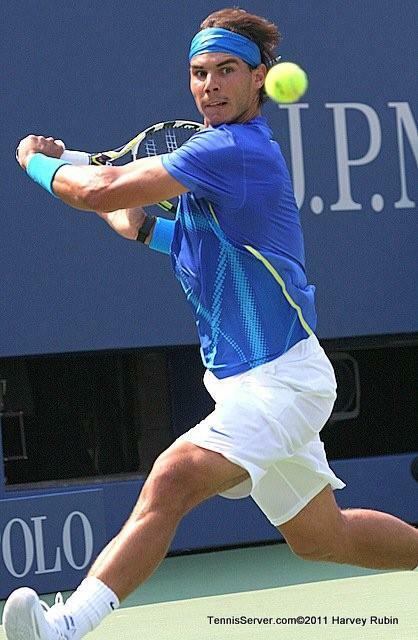 This Open is his 48th appearance at a slam. 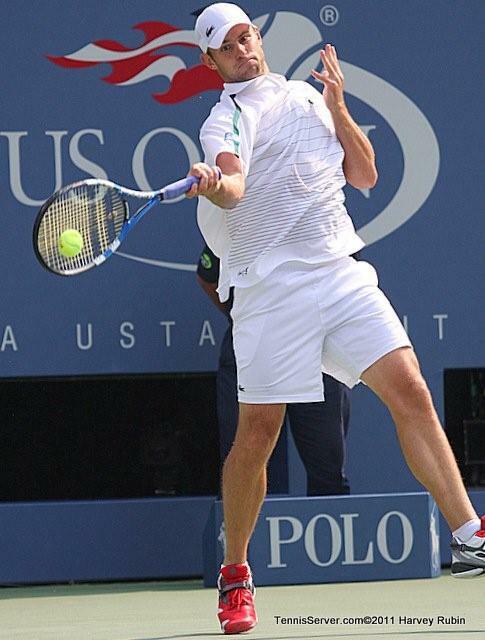 Gilles Muller is appearing in his 4th U. S. Open. 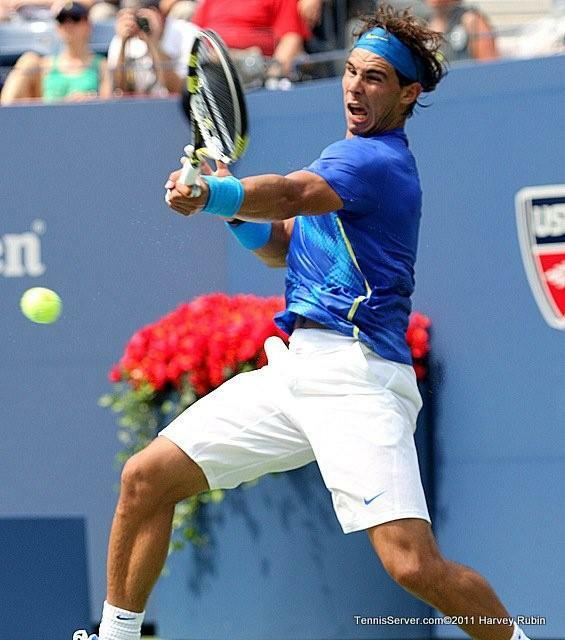 Today, he earned a berth in the round of sixteen, equaling his record set in 2008 when he reached the quarterfinals. 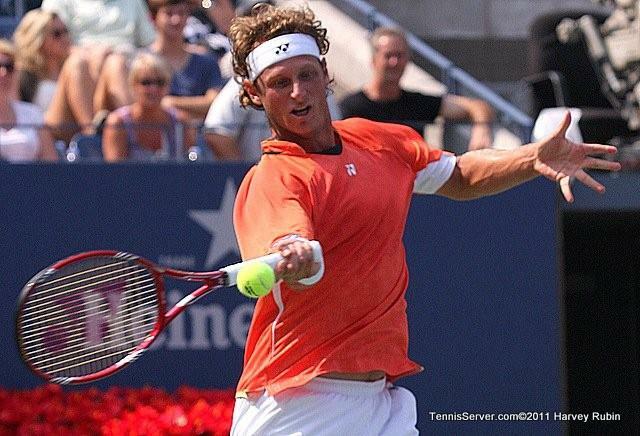 The 28-year-old man from Luxembourg has caused havoc in Flushing Meadow. 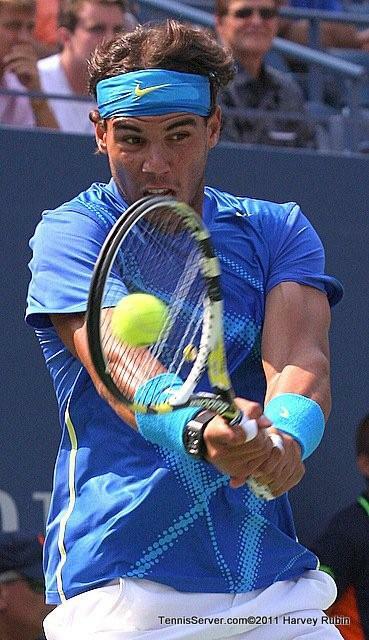 His six-four frame and left-handed strokes have served him well. 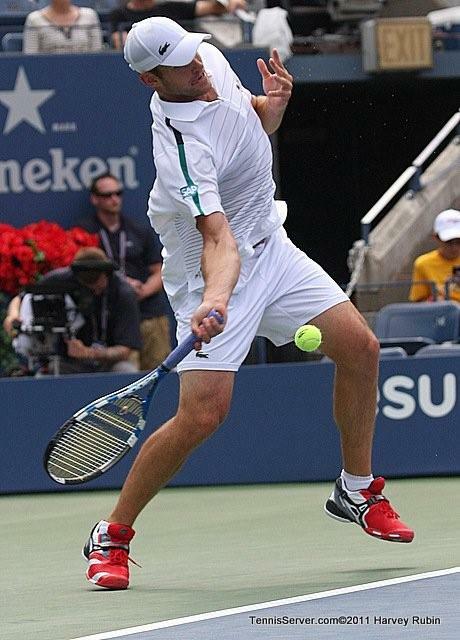 Probably Muller's fondest memory from any tournament was in 2005 at the Open. 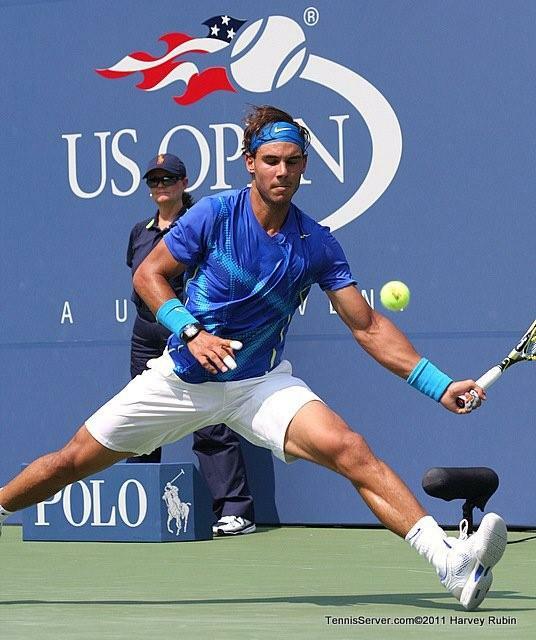 He stunned Andy Roddick in front of a night crowd on Arthur Ashe Stadium. 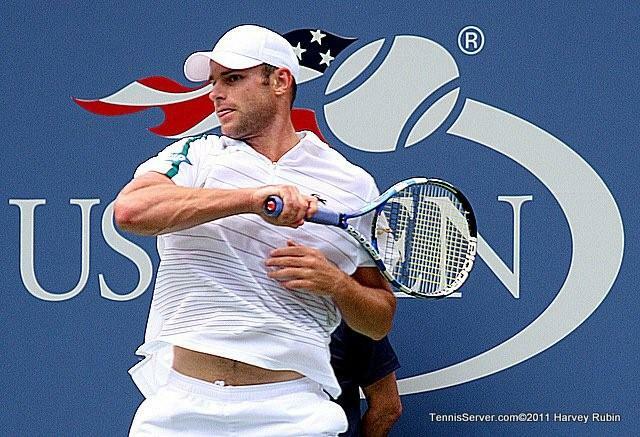 Virtually an unknown commodity to fans and to Roddick, Muller let loose a barrage of serves and court coverage that the American's mind and tennis talents couldn't avenge. 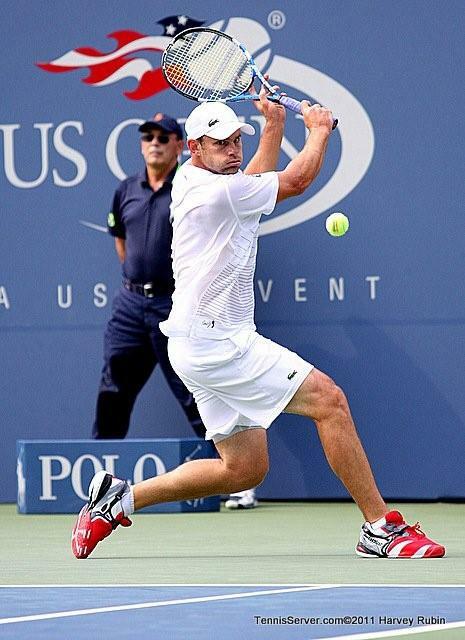 Muller won in three sets, all tiebreaks, serving 24 aces to Roddick's 16. 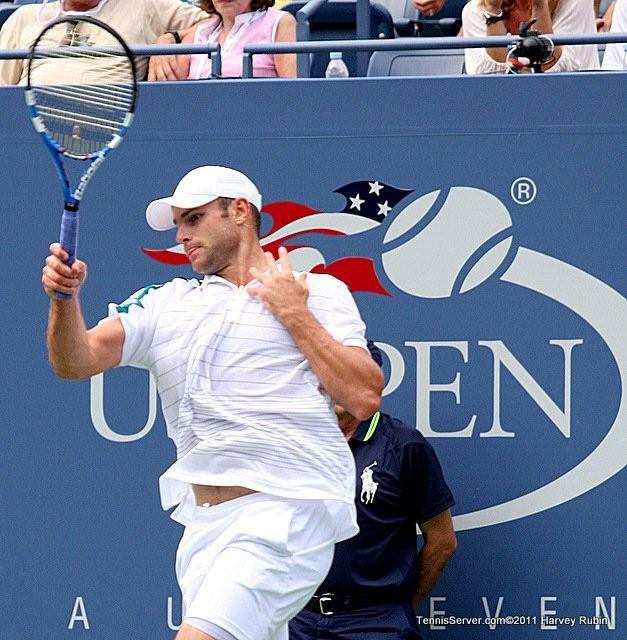 It was Roddick's earliest exit at the Open. 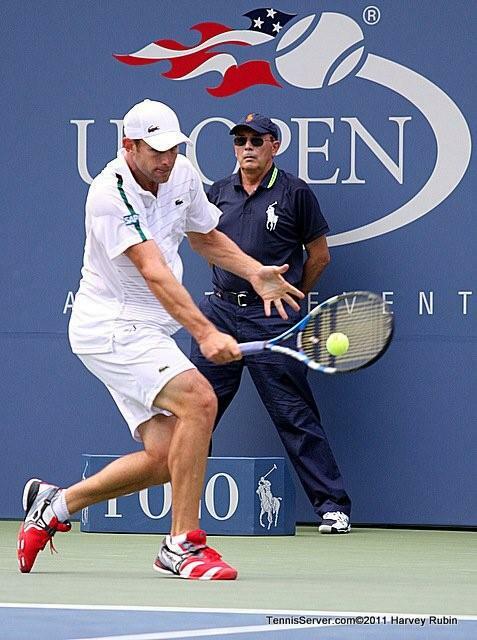 Muller started slowly against Igor Kunitsyn, today. 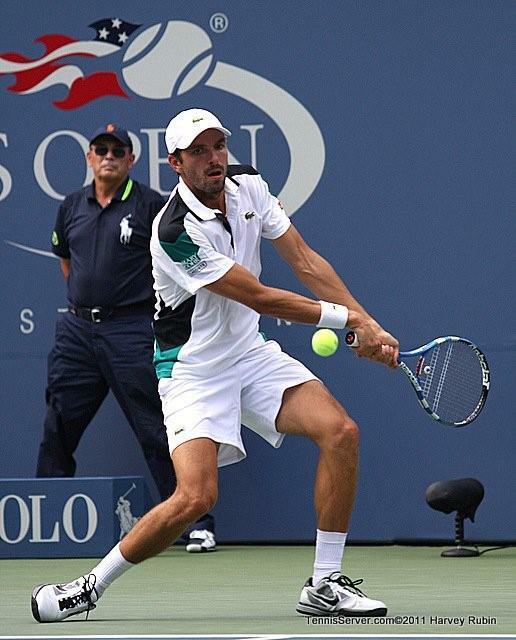 His serve was key in his victory, as was an aggressive backcourt game that has been missing over the years. At 28, he better make this U. S. Open count. Also key was his touch game. Ordinarily, big guys don't have the type of movement that'd get them up to the net in time to loosen their grip and tickle a ball over the net. But Muller has it. He's also a ball bender. He hit one down-the-line passing shot that curved in for a winner. 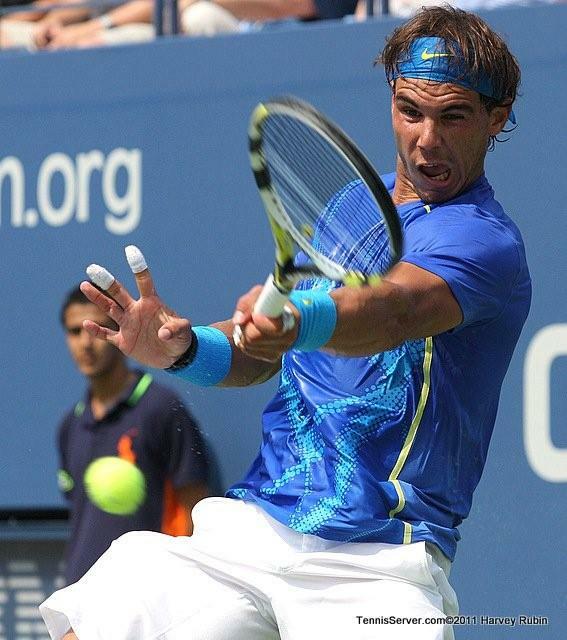 The shot was nothing short of wonderful tennis entertainment, reminding many of Nadal's many curve ball winners. 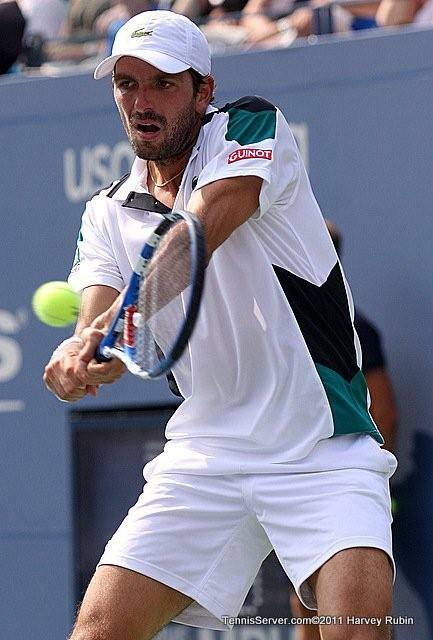 Currently ranked 68, he reached a high of 58 in early 2005. 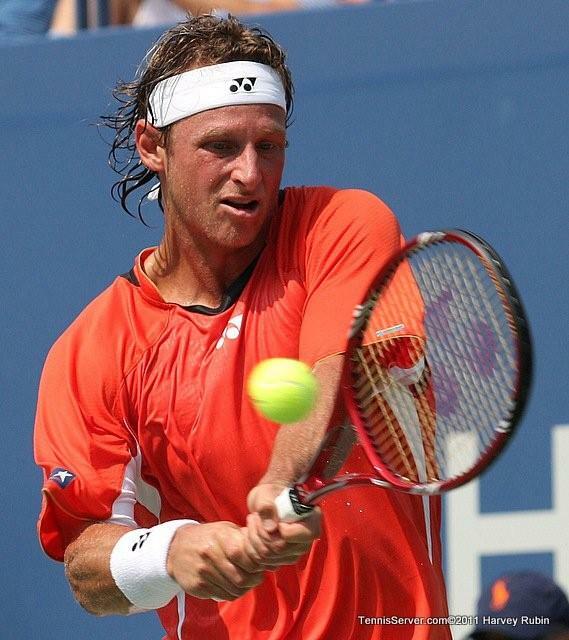 Ten years ago, Muller won the Junior U. S. Open title, and turned pro. 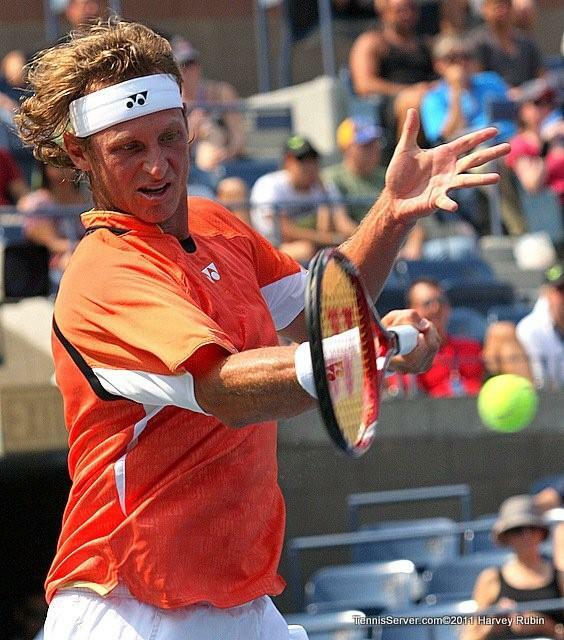 This year's he has played a full schedule of matches at the tour and challenger levels. 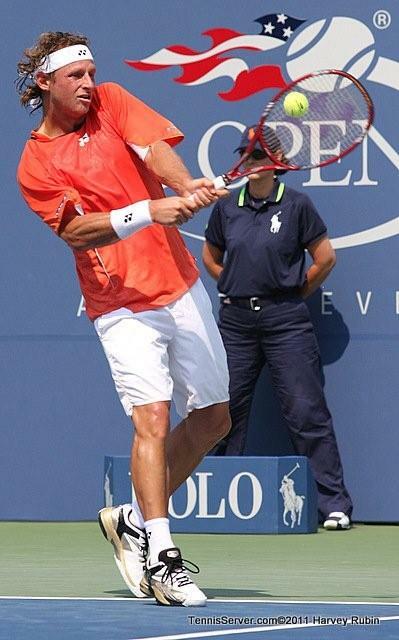 His best results came in Atlanta in July, when he lost to John Isner in the semifinals. 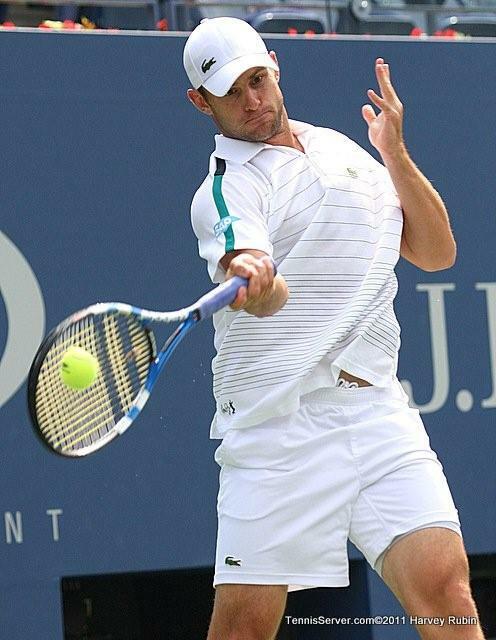 Muller was Milos Raonic's opponent in the second round at Wimbledon this year when the big Canadian slipped on the grass in the backcourt, retired, and later learned of a hip problem. 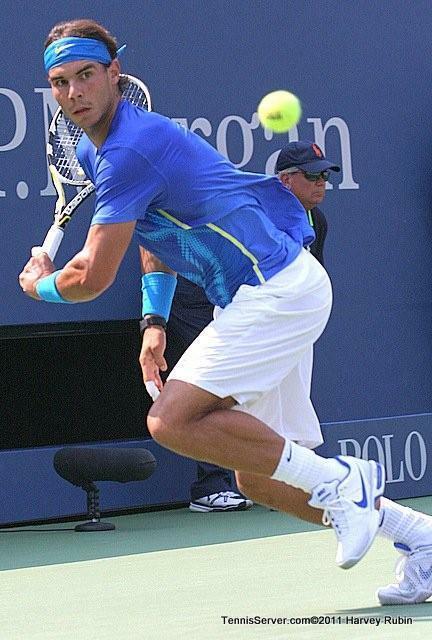 Rehabbing the injury has been slow, which forced Raonic to withdraw from the U. S. Open a week before it started. 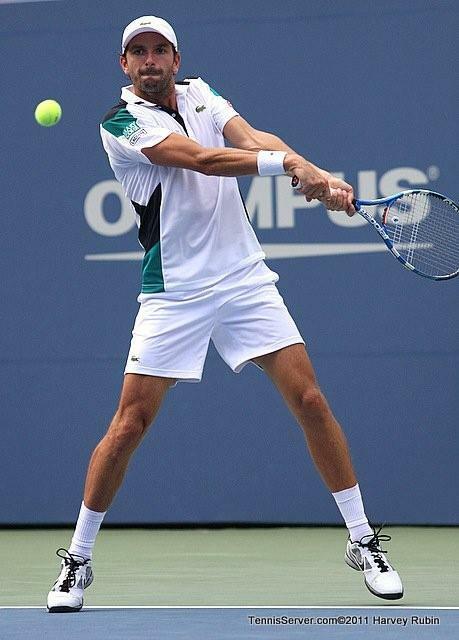 He plans to return to tennis during Davis Cup against Israel. 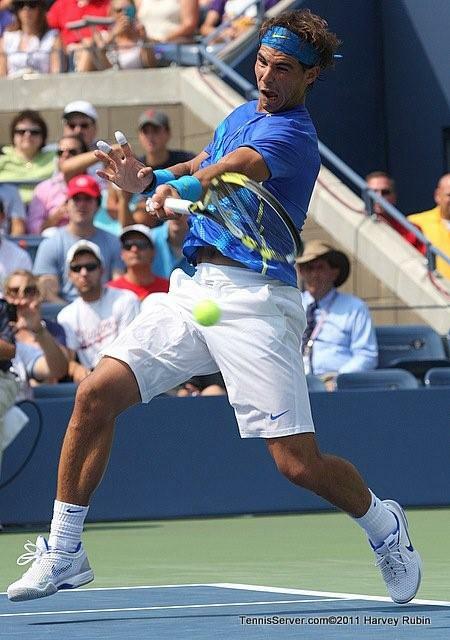 Next up for Muller, is the #2 seed and defending champion, Rafael Nadal. 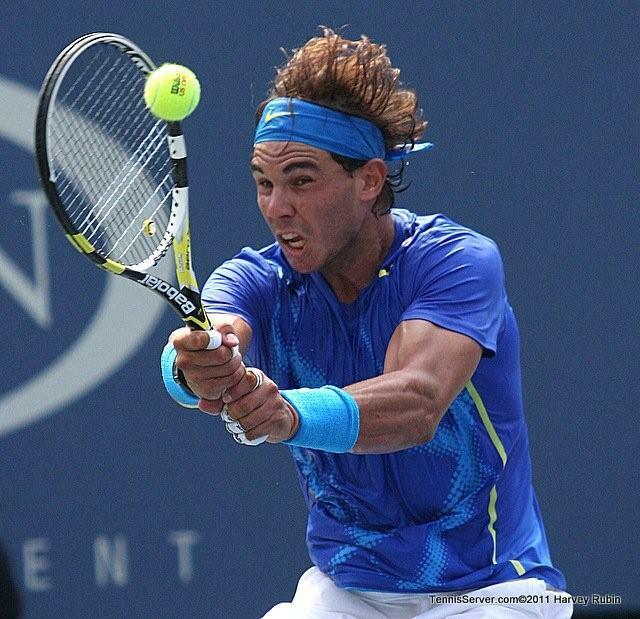 The two met at Wimbledon this year, when Nadal prevailed. 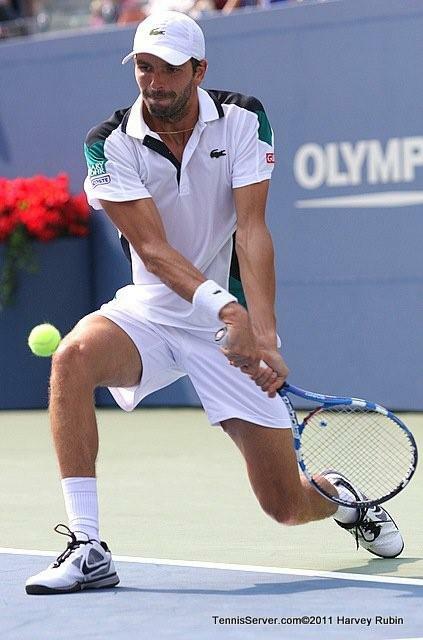 However, in 2005 Muller defeated the Spaniard on the grass at Wimbledon. Both men love the U. S. Open. 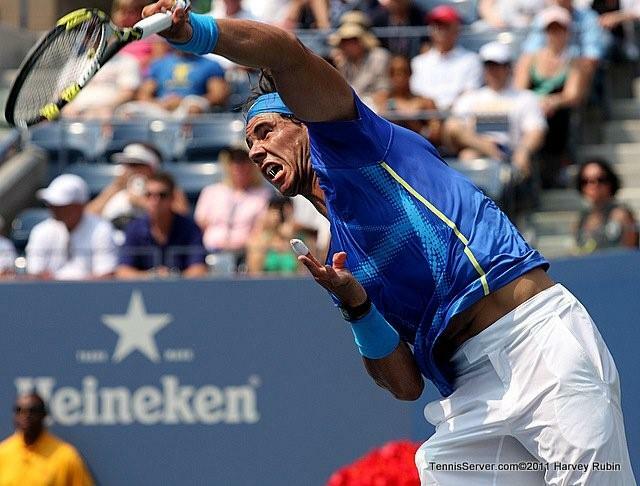 Both have lots at stake: Nadal his pride and gobs of points; and Muller has a career that has stalled several times when at the verge of substantive breakthroughs. 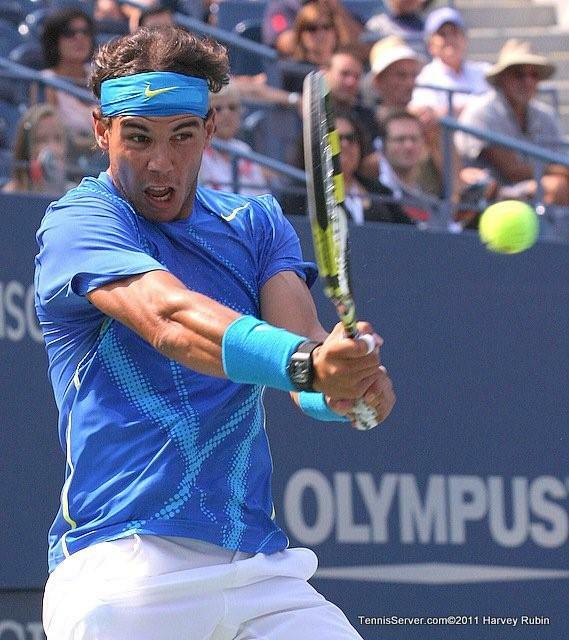 His game could deny Nadal rhythm, which he thrives on. 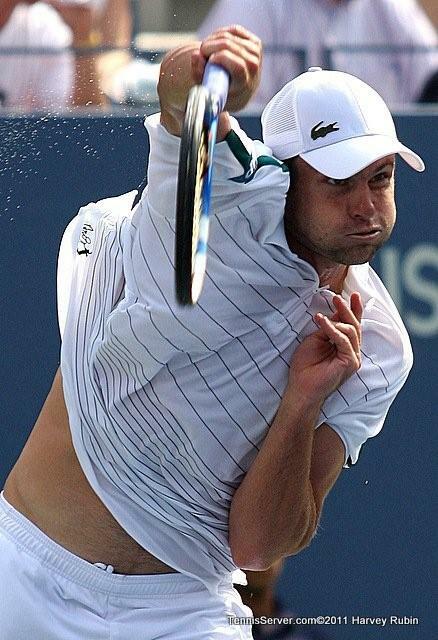 Muller's serve, too, will win free points. 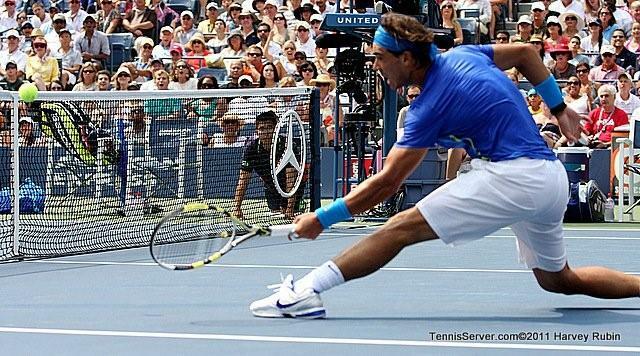 And when two lefties face off, the spin advantage will vanish as they both wield their racquets with their left hands.